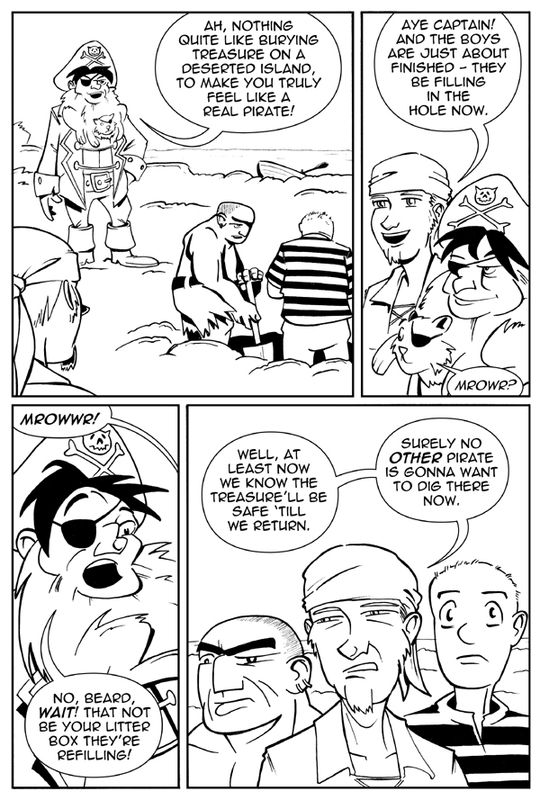 Guest Comic – Peter Foglesong – Catbeard the Pirate! And my mini vacation ends with a great piece from my friend the mighty Peter Foglesong! I may just have to pay this guy to draw me a backup story one day. Always love seeing his take on my crew.